Everybody remembers the Nokia 3310, right? What about Snake? 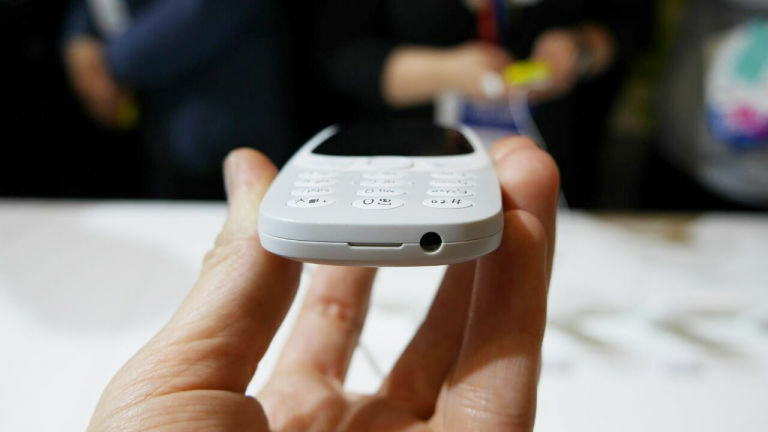 The little brick phone that gave you days of battery life and went through thousands of destruction tests was removed from the production line 13 years ago, but now, Nokia is bringing it back. 17 years ago in the year 2000 when the 3310 was first launched it was never expected to go on to sell 126 million handsets worldwide. That makes it the most successful handset of all time. You’ll probably remember the mobile phone looking like this, but Nokia hope that the new design will add a modern twist, one that chief product officer, Juho Sarvika says they ‘couldn’t resist’. But what will the new Nokia 3310 have to offer? Will it be exactly the same as the original or will it present competitive features against the likes of Apple and Samsung? The battery life of the Nokia 3310 has always been an outstanding feature. The new Nokia 3310 is now said to have a battery life of 1 whole month, which is amazing considering phones of today barely last a day. 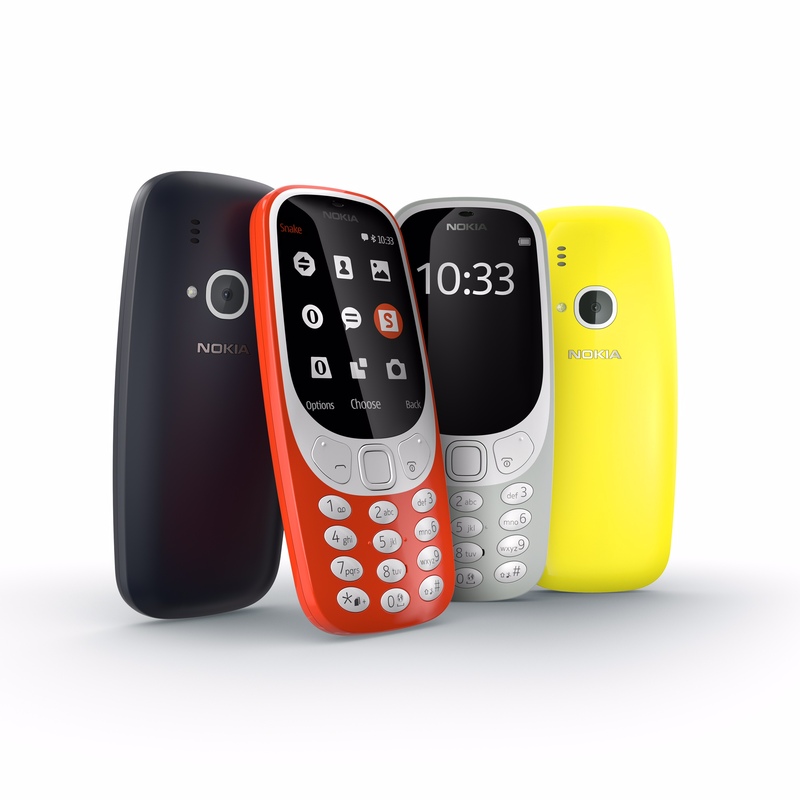 With colours such as a striking yellow or bold red, Nokia have gone completely against the typical style bringing the fun back to the market. The days when you could have lights on the side of your phone that flashed in tune with your music seemed to be over. With silver or ‘rose gold’ (whatever that colour is meant to be), now being very predictable among new phone releases aiming for a distinctly premium style. Nokia may be bringing back an old phone but the design is very new, fresh and perfect for those who are not interested in today’s commercial colours. We then have the size of which we all know mobile phones are increasing in size dramatically, but not everyone wants something that you need a suitcase to carry it around in. With a 12.8mm thick body it may be thicker than your iPhone 7 or Samsung S7 but its overall footprint is definitely much smaller and will fit nicely into your pocket. A new feature for the Nokia 3310 is one for iPhone 7 owners to be jealous of… the standard 3.5mm audio jack. With high end handsets recently taking that away from their users in an effort to charge them more for their own bluetooth headsets, Nokia are keeping it old school. With the 22 hour battery life you’ll be able to plug, play and party. Many handsets today come in a range of none adjustable sizes such as 32gb – 256gb. Once you choose the size of the memory that you want, you are stuck with that. The new Nokia 3310 comes with 16mb, yep that’s right, not even a gigabyte! But.. it does have what iPhone users have been wanting for a very long time now, MicroSD expansion. This will allow you to use the super long battery life to its full potential and storing your all important favourite tunes. Another new feature on the Nokia 3310 is the camera! This isn’t exactly a feature that will do so well against competitors, as it’s only a 2 megapixel shooter with no flash, HDR or panorama mode. But despite the lack of fancy features it is an improvement over the past model which lacked any camera whatsoever. Finally how much will this new handset cost you to buy? Well there’s no need for a contract to buy the phone, you won’t need a bank loan to be able to afford this one. The Nokia 3310 costs only 7% of what you would pay to buy the cheapest iPhone 7. At only £42 it’s cheaper now than what it was back in 2000 when it was first launched! Will you switch back to the key pad after using a touch screen for so long? Will you stop worrying about scratching your fancy fragile device and buy a colourful brick instead? Or maybe buy it just for the sake of having it because it’s so cheap… and of course you want to play snake? Will you be buying the new Nokia 3310? Let us know in the comments below!